Just a few months ahead of the 50th anniversary of the first moon landing, Skidmore, Owings & Merrill LLP (SOM) released designs for the first full-time human habitat on the lunar surface. 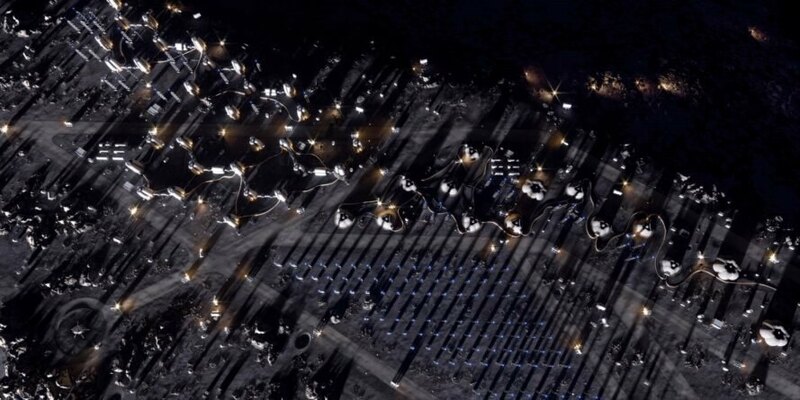 Created in collaboration with the European Space Agency (ESA) and the Massachusetts Institute of Technology (MIT), the conceptual settlement — dubbed the “Moon Village” — outlines ways humans could live in an otherwise uninhabitable setting through self-sufficient means. 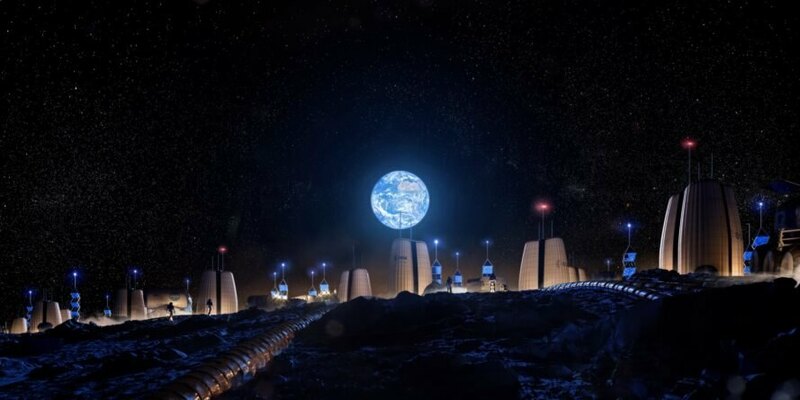 Envisioned with a series of inflatable living modules, the Moon Village would not only harness resources for sustaining life and industrial activities, but would also be able to conduct research for sustaining life on terrestrial planets other than Earth. Because the Moon Village would harness sunlight for energy, the rim of Shackleton Crater near the South Pole has been selected as the project site, as it receives near continuous daylight throughout the lunar year. In situ resource utilization (ISRU) experiments would generate food and other life-sustaining elements, such as breathable air, which would be created from water extracted from the crater’s water-ice deposits near the South Pole. 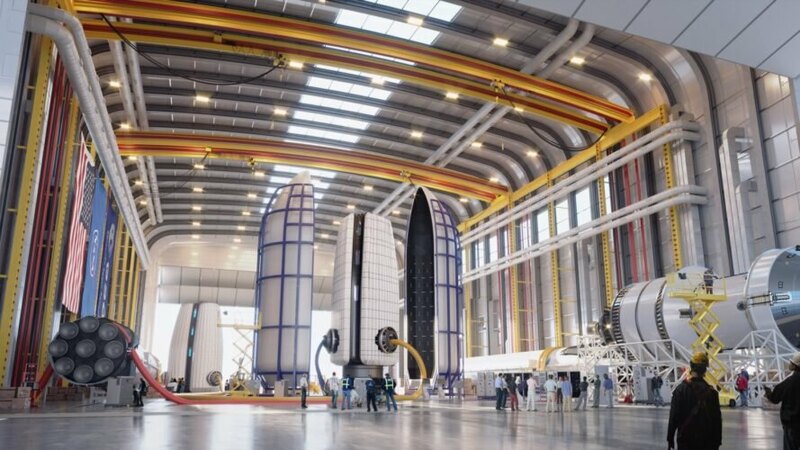 The settlement would comprise clusters of inflatable pressurized modules that could easily expand to accommodate future growth and programmatic needs. Designed for self sufficiency, each three- to four-story modular unit would not only include living quarters and workspaces, but also environmental control and life support systems within a regolith-based protective shell resistant to extreme temperatures, projectiles, regolith dust and solar radiation. The settlement would allow mankind to conduct a more thorough exploration of the moon for research and development purposes and help pave the way to potential human settlements on Mars and beyond. SOM, the ESA and MIT have collaborated on a project that envisions life on the moon. The project, dubbed Moon Village, consists of modular structures that encourage self-sufficiency in space. The structures would draw energy from the sun. Air would be generated from water extracted from water-ice deposits. The concept brings many new challenges to architectural design. Each structure would feature living quarters, workspaces and environmental control and life support systems.